When you find a great series, you can’t help but just go hungrily from one title to the next. The only downside is when you begin to near the end of the currently published or translated works, and have to begin the eager wait for the next! I’ve said it before in my reviews, and I’ll say it over again – the mark of a stellar author is one that remains true to their style, but also innovates with each new work. And the authors of the Winemaker Detective series have hit that mark each and every time. The new facet they bring out in Cognac Conspiracies is that of extended passages from other viewpoints than that of Cooker. I even noticed the word usage changed depending on the character, as certain words and descriptive styles would show up more often respectively, and it really helped to shift the perspective. I really liked that about this work, it added a layer of interest. This book also stretched me as a linguist, as I had to stop and look up no less than 3 words throughout my reading. I greatly enjoyed getting to expand my vocabulary and understanding of the world of the book, but I must recommend that readers keep a dictionary close at hand when they pick up Cognac Conspiracies! I’ve shared before how these books are written from a world-view and style very different from my previous experience, and I’ve enjoyed getting to experience that. However, this particular title seemed a little out of the normal cadence for the authors. My reading felt like the sensation of going down a bumpy road while having a conversation. There was bumpy, wobbling aspect to the voice in this work, but as always, the mystery wrapped with a straight forward, clean ending. I didn’t feel the quality of the tale suffered any, it was just something that gave me pause in my reading. Cognac Conspiracies went back to more of your classic mystery feel, but this was enriched by the multiple viewpoint format. The tale brings to life the business perils that are a reality in the world of spirits, or really any enterprise – but gave the reader something more to ponder by focusing on how different parties react when it comes to dealing with a family business; how to balance generational legacy with profits and market relevancy. Most works I have read that deal with World War Two have focused on spies, internment camps, military movements – more political or history texts overall. Deadly Tasting touches on that time period in a fresh way, a look at the reality of the “back-home” aspect we don’t, as a rule, often hear about. We get a taste of the occupation, and the divisions of ideology in the small highways and byways. I thought the way the writers came at the whole subject was intriguing. A brief sketch of the history, underpinning the whole story, but neither dwelling on the past, nor running from it. The reader hears the down-to-earth, pragmatic voice of the people of the region more concisely than in all the previous works, and I really enjoyed the story all the more for it. 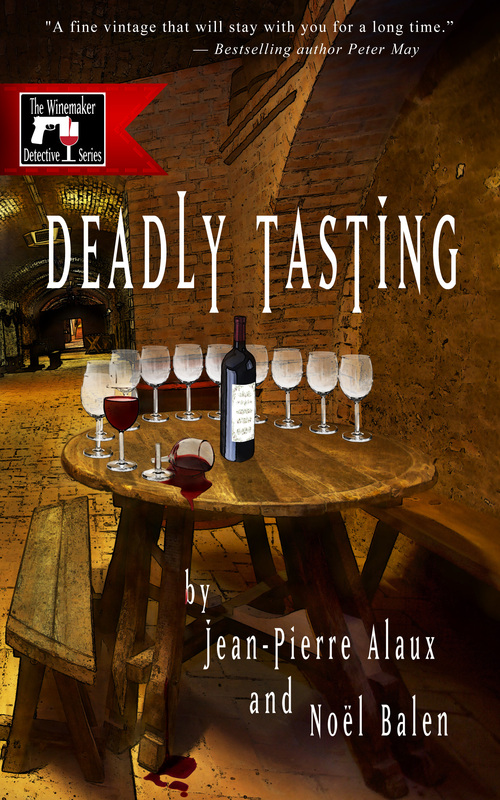 Deadly Tasting is like Nightmare in Burgundy in that it is a darker tale, but it is, as ever, tastefully done, keeping focus on the overarching intrigue, rather than the gore of the crime scene and death. The reader gets to see Cooker acting more like a “typical” detective as he pursues the mystery, looking for clues, questioning those of interest. It is fun to see him in this role, in addition to his typical way of intellectually puzzling out the solution. An interesting part of Deadly Tasting is how the authors perfectly capture the anxiety and often futile experiences of a diet. It permeates into every part of their tale. It was an interesting framing technique – but often made me wonder the point of it in the story. It all comes back to priorities in writing, from a different background than my own. Once again the authors have shifted a step in where they focus the story, continuing to round out the entirety of their character and his life. This time they focused much more in depth on the places, the people, and their respective histories, with whom Cooker interacts. A prevailing theme was to understand the region through it’s religious history – local superstitions and where they came from, as well as the influence and legacy of the nearby monastery. I found the reaction of the locals to “supernatural” events interesting, as it came across much more matter-of-fact than many other works I’ve read. Many times an unknown phenomenon is either held up as something to be feared, or revered, and in this book, my impression was more “oh, that’s just the annoying neighbor we have to deal with”. It was interesting! On the other side of that coin though, this was also the darkest, most “mysterious” and “dangerous” of the mysteries in the series so far. The resolution surprised me, as I was not expecting it at all. The tale was a little less of a light-hearted who-dun-it, and delved into some deeper themes. Well-crafted, as always, so an enjoyable read nonetheless. 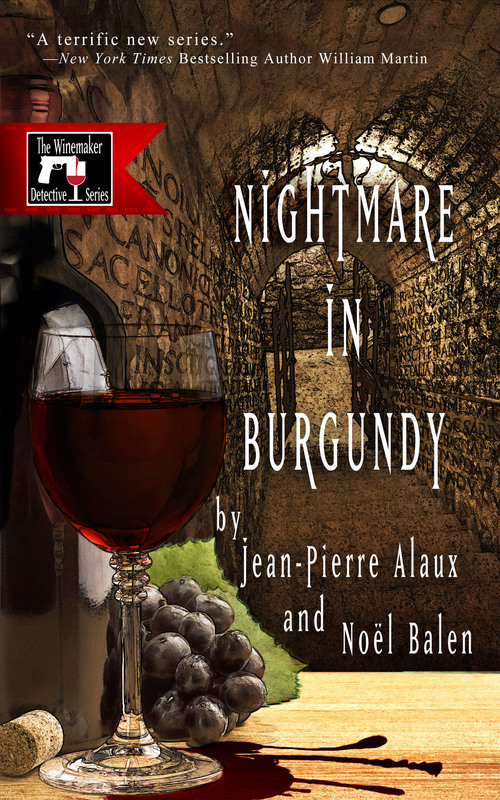 Nightmare in Burgundy is also the most sensory of the books so far. The reader is treated to lush descriptions of the smell and taste of the food, the wine, and the cigars, while also taken around the area in the plush purr of Cooker’s beloved car. I enjoyed the richness of immersion by the details – something each title has done well, and really draws the reader in. Another book I’m happy to recommend! Student of Opinions is off hiatus! I have greatly missed getting to read and review, and am eagerly looking forward to burying myself under stacks of new titles. I have the latest Winemaker Detective Series title coming up, and so I will be doing quick highlight reviews of the works that have been translated since my review of the first book. I love this series! I will also be highlighting some works I read over the last year. As always, I welcome recommendations as I move forward! Admittedly, it has been a while since my reading of Treachery in Bordeaux, but I was able to get right back into the world of Benjamin Cooker from the first page of Grand Cru Heist. I love books and authors that accomplish that, since the reality is there is always down-time between when works in a series publish. The first book was more about introducing Cooker, explaining his business, meeting his family. Grand Cru Heist takes the next step, delving deeper into what makes him tick, and showing us how he got to where he is as an esteemed winemaker and reviewer. I really enjoyed learning more about the character in this way – reintroducing him for the new readers without rehashing everything previous readers already have covered. No words or page space wasted – always moving forward in the story. Authors aspiring to the next level in their writing would do well to learn this, especially from such a well done example. Do not read this book while hungry! The detailed walk through so many wines, foods, and pairings left my stomach growling. I feel as though I should have been sitting with a notebook and map, marking what to eat and drink when visiting the places named. Treachery in Bordeaux focused on the process of making the wine, Grand Cru Heist brings us into the act of savoring it. All of this was framed in a light who-dun-it that was fun to puzzle out. The ending reveal was terrific in tying everything that had happened together, and still bringing some surprises into play. As with my previous review, I really enjoyed the chance to look into the French mindset from a French perspective. Grand Cru Heist was interesting in that regard especially, as we get to see the thoughts and interactions when dealing with non-French characters. It’s a potent reminder that the world is a bigger place than we often give it credit for, and learning to understand our neighbors is often best started over a great meal.